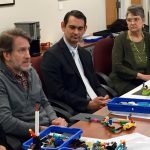 On April 5, 2017, City Tech’s Faculty Commons hosted a Serious Change Through Play workshop led by Patrick Corbett and Jason W. Ellis. Titled “Mapping and Teaching to the Communication Challenges Facing Our Students with Serious Play,” it introduced Serious Change’s communication diversity workshops for students with a brief talk about its theoretical underpinnings followed by a longer hands-on workshop modeled on the student workshops but fine tuned for the needs of City Tech faculty. 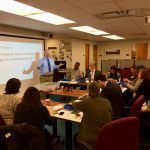 There were twelve participants in this first workshop for faculty. 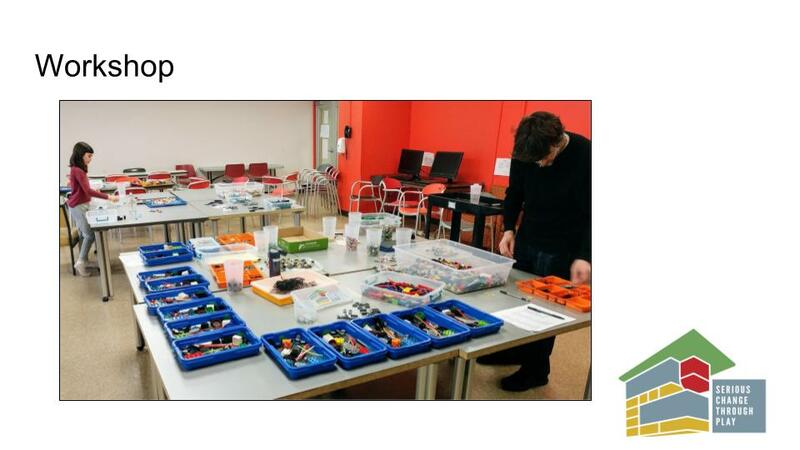 We are including our opening talk and hands-on prompts below for those who were unable to attend. Welcome to our Scholars Exchange workshop “Mapping and Teaching to the Communications Challenges Facing Our Students with Serious Play.” Thank you to the Faculty Commons for inviting us to participate in this semester’s series. 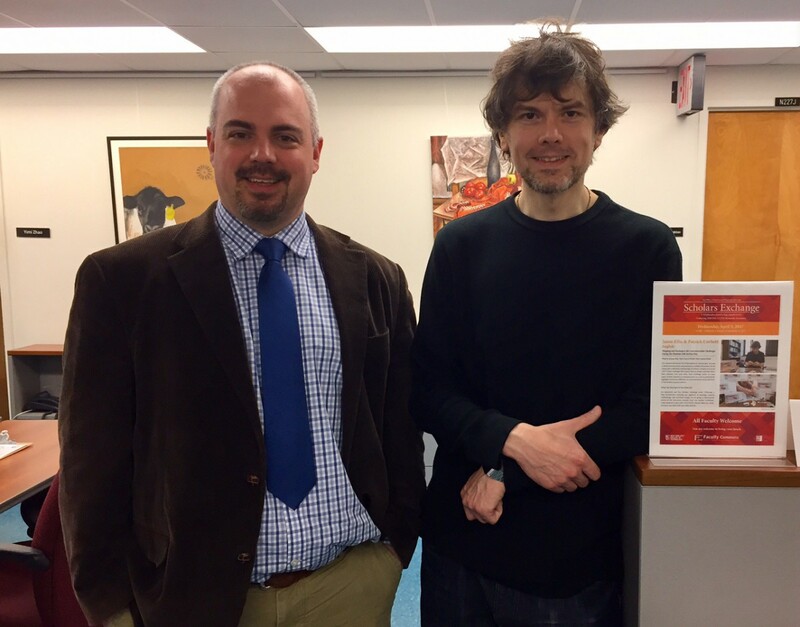 I’m Jason Ellis and this is Patrick Corbett, and we are both in the English Department. We first wanted to describe our project’s pedagogy and research aims, and then spend the remaining time with you experimenting and discussing the workshop’s serious play. 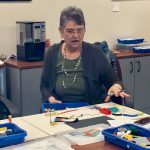 “Serious play,” is a term used to describe activities that involve engagement, problem solving, and “catalytic action,” or the spark of spontaneous creativity. More recently, serious play has come to refer to a range of activities designed around learners as players engaged in active learning scenarios and simulations, both digitally and physically located. Serious play allows participants to experiment with decision making across a range of low-stakes gaming mechanics, either in collaboration or competition. 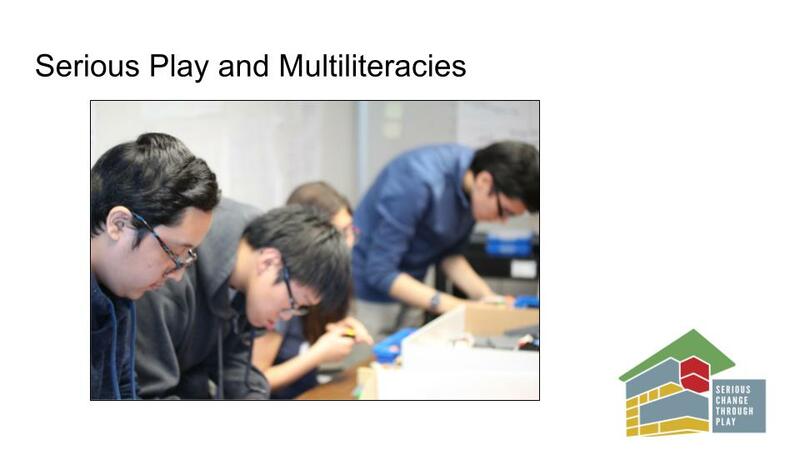 Inspired by the concept and practices of serious play, we began a larger project called the Multiliteracy Research and Pedagogy Study. 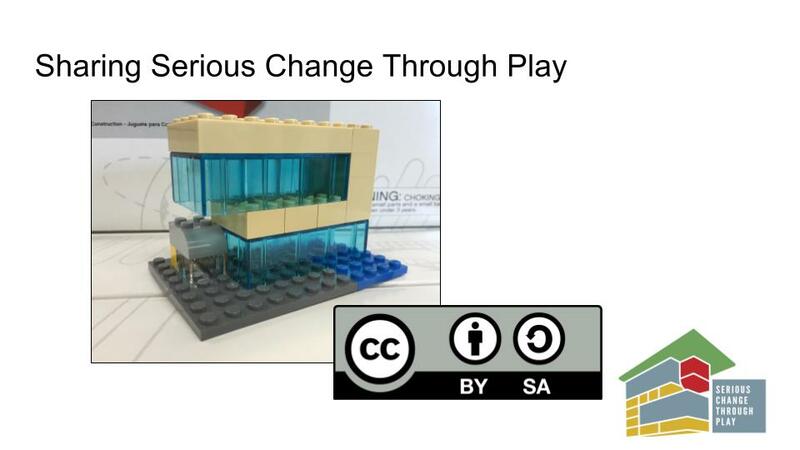 Its purpose is to take the pedagogies of “multiliteracies” and “serious play,” which we have been working with in our technical communications classrooms, into a mobile, interdisciplinary space to offer experiential learning opportunities for students and to research, at a practical level, what students find valuable about these experiences. However, we are concerned about two big challenges to educators: namely, increasing focus on functional complexity, or the erasure of pedagogy in favor of content delivery, and austerity politics, or the erasure of opportunities for true pedagogy in favor of cost cutting. And that is where we would like to start: overcoming these structural limitations with the introduction of co-curricular mobile “spaces.” The rationale behind this approach is threefold: First, we want to enable General Education (Gen Ed) student learning where it will have the greatest interest and engagement for them. Second, we need to meet the students in the spaces available to us (faculty) and them (students), which we see as co-curricular, interstitial spaces of learning. And finally, we want to open our pedagogical practices and research to the entire City Tech community. 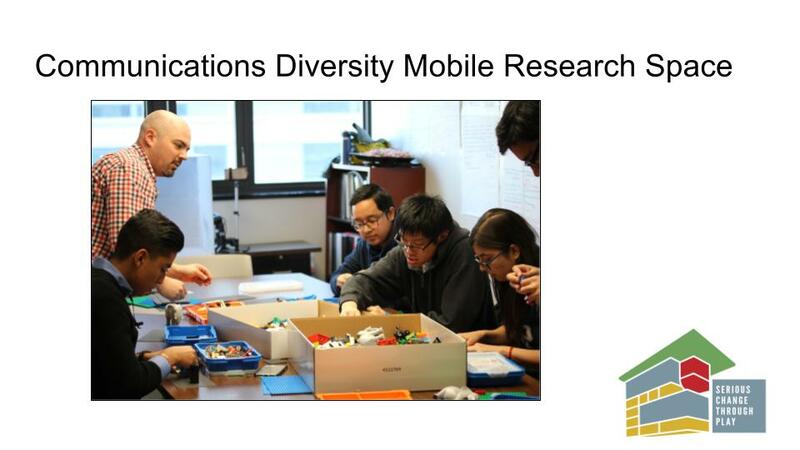 Originally inaugurated as the Communications Diversity Mobile Research Space, Serious Change Through Play or simply Serious Change will host a series of extra-curricular workshops for undergraduate students to engage in problem-based communications role-playing exercises where recognition and acceptance of communications diversity are key considerations to success. 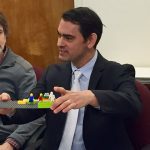 For 90 minutes, two facilitators guide eight to twelve students through a combination of hands-on activities with LEGO building bricks and spoken and written reflections. 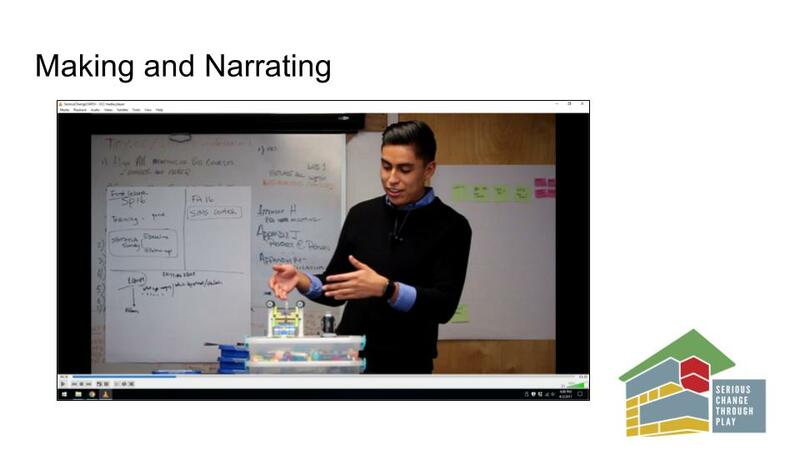 Facilitators will lead students through exercises to articulate how students’ “mental models” of diversity shape their thinking and interaction with others, and how their communication with diverse audiences requires a variety of multiliteracies. Using the low-stakes active learning environment that Serious Change offers, students explore what diversity in communications styles looks like and how to negotiate this in problematic situations. While City Tech students are fundamentally familiar with diversity as residents of New York City, most have not had the opportunity to engage in an affirming and productive exploration of the role of communications diversity in their lives. 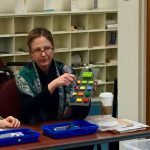 Using serious play methods, students participating in the workshops will explore the connections between culture, identity, and context, and test their assumptions about how people communicate and receive feedback. The workshops will pose challenging problems that enable students from diverse ethnic, cultural, socioeconomic, and educational backgrounds to come together and see how diversity affects communications while expressing their ideas in empowering and inclusive ways. 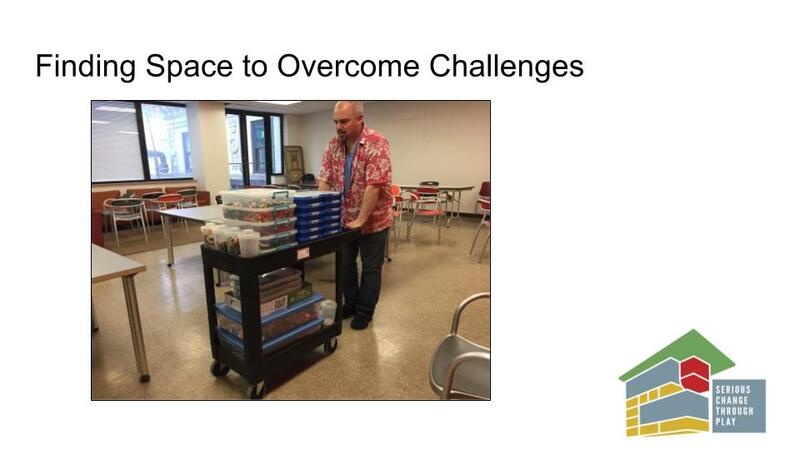 The facilitator leads students through progressively more difficult, but meaningful, challenges. While challenging students to be more mindful communicators, facilitators also demonstrate by doing. They are there to keep the spirit and conditions of serious play alive, so students can reach that point of catalysis. Through this cycle of creative problem-solving, students wrestle with difficulty, share a narrative of that experience, and then test new knowledge or solutions. 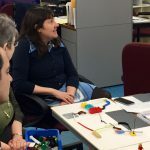 Through play, we hope to offer City Tech students a way to develop their communications design models and heuristics from the praxis of their own serious play. As students are learning from their experiences, we will assess student GenEd communication learning outcomes, revise the workshops accordingly, and share our research findings openly with a Creative Commons license. 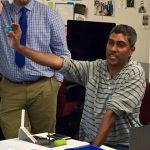 In addition to inviting our colleagues around City Tech to be a part of this project, our ultimate goal is to transition these co-curricular workshops into classroom modules for a variety of different classes across disciplines that all have GenEd learning outcomes met by this engaging, active learning experience. 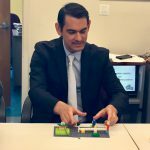 Through seeking continued investment, sharing research findings, and supporting interested colleagues, we want to help facilitate this transformation so that hands-on, active learning becomes a part of the innovative pedagogical practices that can make City Tech a leader in active and play-based learning within CUNY. We believe that one of the best ways to learn something is by doing, so we want to share parts of our workshop with you. 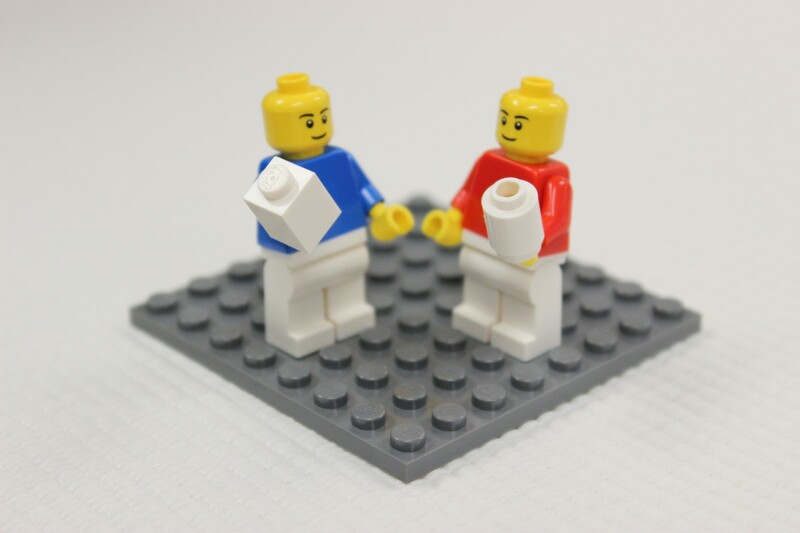 We will guide you all through two workshop prompts, which involve the haptic and creative experiences of building a model in response to a question with LEGO bricks. Also, you get to use brand new kits with higher-engagement bricks that we assembled over the weekend based on our observations of test building sessions with students. Everyone will have an opportunity to share and talk about their creation after ten minutes have passed. However, let’s also talk and discuss while we are building. If Patrick or I can answer questions at any point, please let us know. 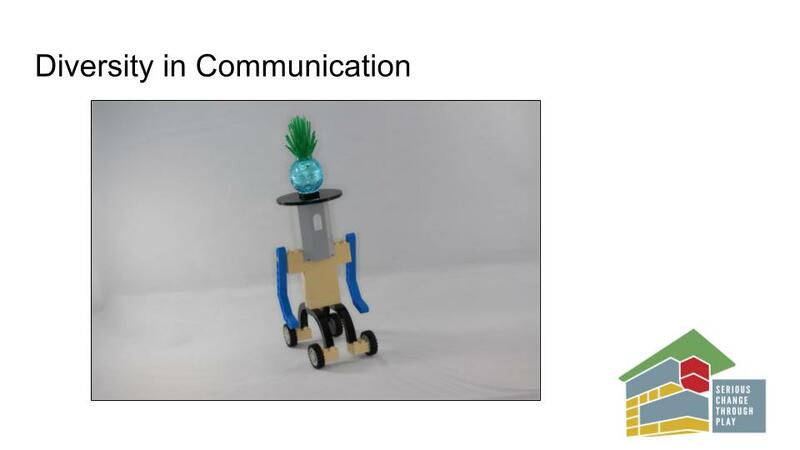 Using the LEGO bricks in your kit, build a model of your most significant challenge as a communicator at City Tech. 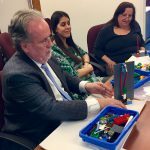 Using the LEGO bricks in your kit, build a model of a solution (realistic, magical, or whatever) to your communications challenge that positions you at its center. Thank you all for coming. Please stay in touch or follow along with our shared resources online. We looking forward to building new things with you all.